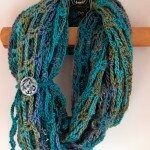 The Final Frost Scarf is long, cozy, fun, and the perfect match for the Final Frost Beanie! 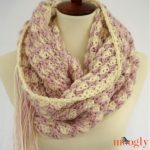 Make it in any length desired, with this free crochet scarf pattern! Disclaimer: This post includes affiliate links; materials provided by Red Heart Yarns and Brittany Needles. 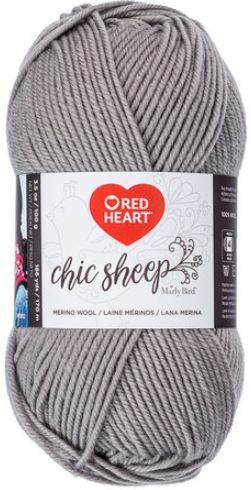 The Final Frost Scarf features the same cable pattern as the Final Frost Beanie and is once again made with Red Heart Chic Sheep by Marly Bird. This yarn is so warm and cozy, it’s washable merino is a great choice for chilly climates – and it’s been plenty chilly here lately! 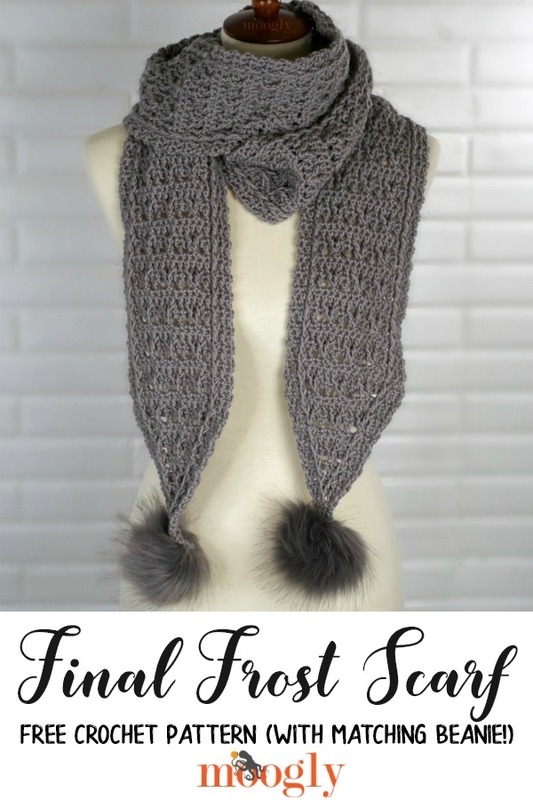 Worked from the center out, the Final Frost Scarf has two perfectly balanced ends, topped off by (optional) faux fur pom poms – to match the pom on the hat of course! While the stitch pattern might look complicated, it’s mostly an easy 4-row repeat – and there is now a video tutorial too! This pattern is worked in two halves so that the decreases and cables point the same direction towards the two ends. The second half is worked directly into the foundation chain of the first half, so there is no need for seaming. You can make this scarf in any length desired – work one half of the scarf until nearly half the length desired, finish that rep and then go to the decreases (beginning in Row 134). Join and work the same number of repeats for the other half. 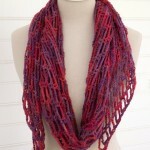 The CSDC stitch is used to give the scarf a finished edge that does not require a further edging or border. If a chain 3 substitute is used, you may wish to add an additional border to the scarf, which may require additional yarn. If you prefer not to use the FDC stitch, begin with a ch 21, skip the first 2 chs closest to the hook (skipped chs do not count as a st), and dc in each remaining chain across. Then continue with Row 2 instructions. Pull the yo and pull through loop of the “fpdc in dc below next st” up to the height of the active row before finishing the stitch. Row 6 – 133: Rep Rows 2-5. Row 134: Rep Row 2. Continue with First Half of the Scarf Instructions beginning with Row 2. Add Pom Poms (optional): Sew poms to each pointed end of the scarf. I recommend using the poms linked above, as they are removable for washing. I went extra long for my Final Frost Scarf – so I could do lots of cozy wrapping, and because I’m a little taller than most. 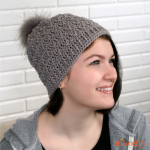 But as described above, you can customize this free crochet pattern for any size needed! Just be sure to read through all the notes and instructions first so you understand how it all comes together. Now I can’t wait to see your Final Frost Scarves! 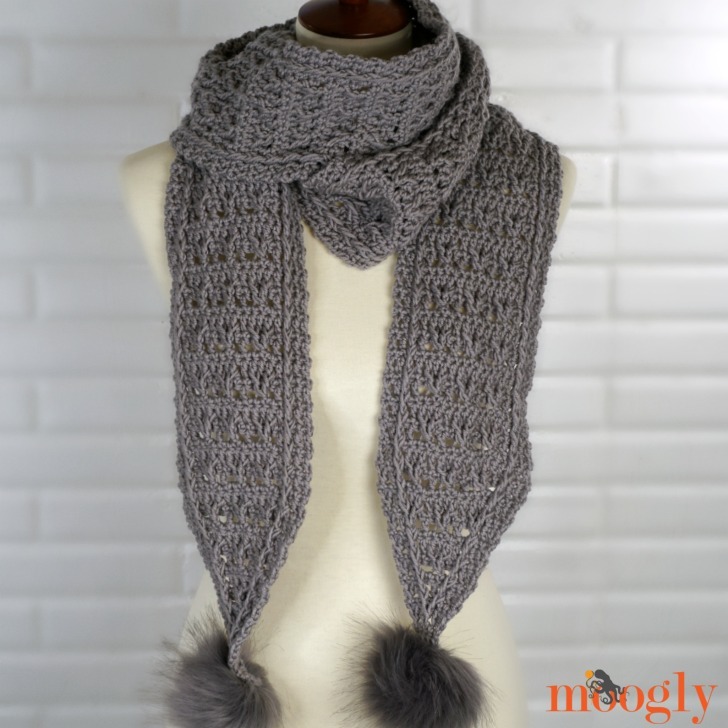 If this pattern does inspire you to make your own scarf, and you post a photo on social media, be sure to tag me @mooglyblog or #mooglyblog so I can check it out too! I love seeing what you make! Follow Moogly on Facebook, Twitter, G+, Pinterest, Instagram, and Tumblr! Thank you to Red Heart Yarns and Brittany Needles for providing the materials shown in this post. Written pattern copyright Tamara Kelly 2019, all rights reserved. Please do not reprint or repost this pattern, but please do link to this page to share this pattern with others. To print or download, use the Print Friendly button below, or go to PrintFriendly.com, or right-click to copy and paste it into a word processing document if those options do not work for you (please note that Print Friendly is a free outside website that the button links to, and you can click here for a tutorial on how to use it, but I cannot provide additional technical support for this service). If you wish to make items for sale from this pattern or translate it to another language, please visit the About page for details. R135 of the written pattern at the end says “fpdc in post st below next st, skip 4 sts behind split fpdc, dc2tog in last 2 sts” but in the video, you’re doing a dc BEFORE the dc2tog in last 2 sts. I’m guessing the video is correct, since that matches the beginning of the row. ?